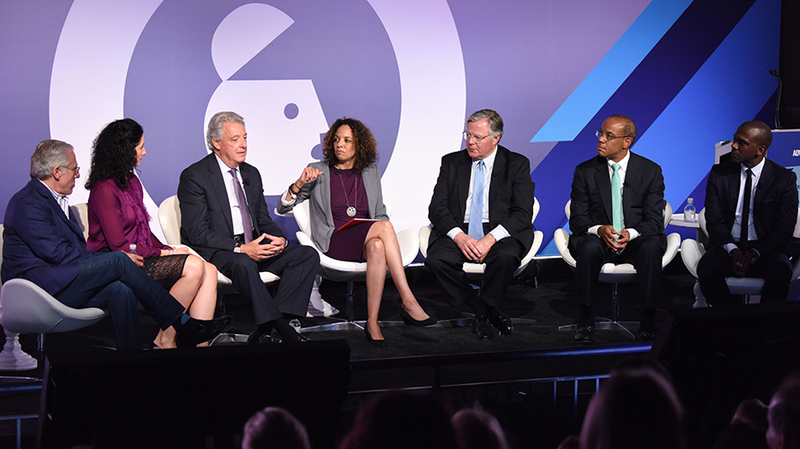 “There’s a unique position this industry is in to shed light on what ails us and make the world a better place,” MDC Partners CEO Scott Kauffman said at Advertising Week’s CEO Action for Diversity and Inclusion panel on Monday, which was moderated by Fortune senior editor Ellen McGirt. This past summer, fellow panelist and IPG CEO Michael Roth wrote an internal memo addressing the preceding weekend’s violence in Charlottesville, Va., which he called “an issue of basic humanity, and standing up for what is right at a particularly difficult moment.” He was the first industry leader to tackle the topic. “We were saying things and people were reacting to the very being, the comments I received from clients and employees was ‘Thank god someone is speaking out and saying how important this is,’” Roth said of the reaction to his memo. “If there’s anything we have the ability to do it is to change hearts and minds,” said Butler, Shine, Stern & Partners executive creative director Keith Cartwright, who is a co-founder of the Saturday Morning Initiative dedicated to “peaceful conversations” on the issues of our time. The panel also included executives from outside the advertising industry, including Sonic CEO Clifford Hudson, Ariel Fund chairman, CEO and chief investment officer John Rogers and WP Engine chairwoman of the board Heather Brunner. Brunner shared that WP Engine’s workforce is one-third ethnically diverse and 5 percent LGBTQ—and that 35 percent of employees arrived at the organization without a college degree. Roth, Kauffman and Cartwright added that, while advertising has made progress, it still has a long way to go. Cartwright noted that,“nine times out of 10,” he’s still “the only creative at the boardroom table” who is not white.